Our firm serves families across the state of New Mexico. We bring a team approach backed by over 50 years of combined experience. Choosing to end a relationship of any kind is an emotional and challenging prospect. Divorce is often an even more stressful experience due to the legal considerations that crop up in addition to the emotional ones. Fortunately, having a highly skilled team of Albuquerque divorce lawyers on your side makes all the difference. We make it our business to be right there with our clients every step of the way and guide them to a new, brighter chapter of their lives. As your dedicated legal team, our job is to hear what is most important to you and your family moving forward, to explain your options within the legal system, and to discuss the consequences of such options. Our firm is here to guide you through the process as we strive to reach a successful resolution for your case. Whether you are seeking out a collaborative divorce or may have a much more contentious case ahead of you, our team has everything you need to address your concerns and ensure your best interests are maintained. Call a divorce attorney in Albuquerque from NM Divorce & Custody Law, LLC today at (505) 431-4716 to find out how we can help. Our team is proud to serve clients in Santa Fe, Bernalillo County and throughout the state of New Mexico! At NM Divorce & Custody Law, LLC, our absolute highest priority is you. 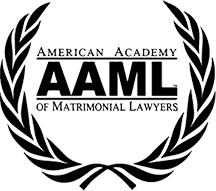 As divorce attorneys in Albuquerque, you are so much more than a client – you are a real person going through a tough time who deserves caring guidance. We take you and your needs extremely seriously and do everything in our power to help further your legal goals so you can move forward into a hopeful future. With consistent one-on-one communication, you can be certain that you are kept fully informed on your case as it progresses and your questions and concerns will be addressed in a timely manner. Our team is committed to providing you with whatever your case requires. As highly accomplished negotiators, we can work to help you achieve your goals without having to involve a judge. When it is necessary, however, we have the experience and tenacity to take even the toughest cases to court. We understand that each case is unique, and take pride in our ability to think outside the box and provide creative solutions. With decades of combined experience, we know what it takes to help our clients reach favorable resolutions and begin the healing process. Ms. Burmester is an amazing woman and attorney her and your firm have my highest recommendation!! I appreciate everything Mary Ann and her team have done for my children, and myself, which entailed so much. I can’t tell you how confident and comfortable I felt having you represent me and the peace of mind that brought was worth more than I could have imagined. Mary Ann is sharp, knowledgeable and honest. She gave me recommendations that I felt comfortable in taking and I never felt her representation didn’t have my best interests in mind. ... Because you kept your promise to me and because I am doing it; I am living life again!